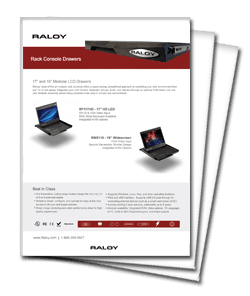 The Raloy RF117HDM Mac style rackmount monitor keyboard drawer features a 17" Widescreen LCD capable of full HD 1080p video. The keyboard is a 104-key Apple style keyboard including Option, Command and Apple Function keys, full numeric keypad and integrated touchpad or trackball mouse. 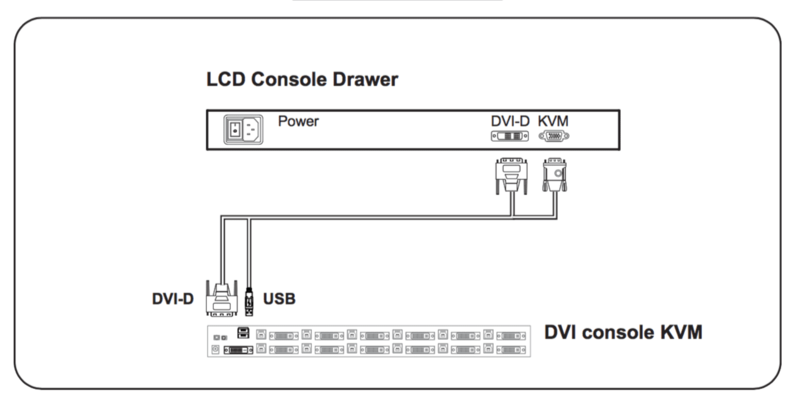 The unit includes one 6ft DVI-D console cable designed specifically for the Raloy HD rack console series (Product ID: RCX-6). This state-of-the-art modular Mac rack console offers a space saving, streamlined approach to your rack environment by integrating your high-definition LCD monitor, optional integrated KVM switch, Apple keyboard, and mouse in one unit. Setup is fast and easy. Simply plug in this cutting edge modular rack console with optional integrated KVM and you are ready to go. 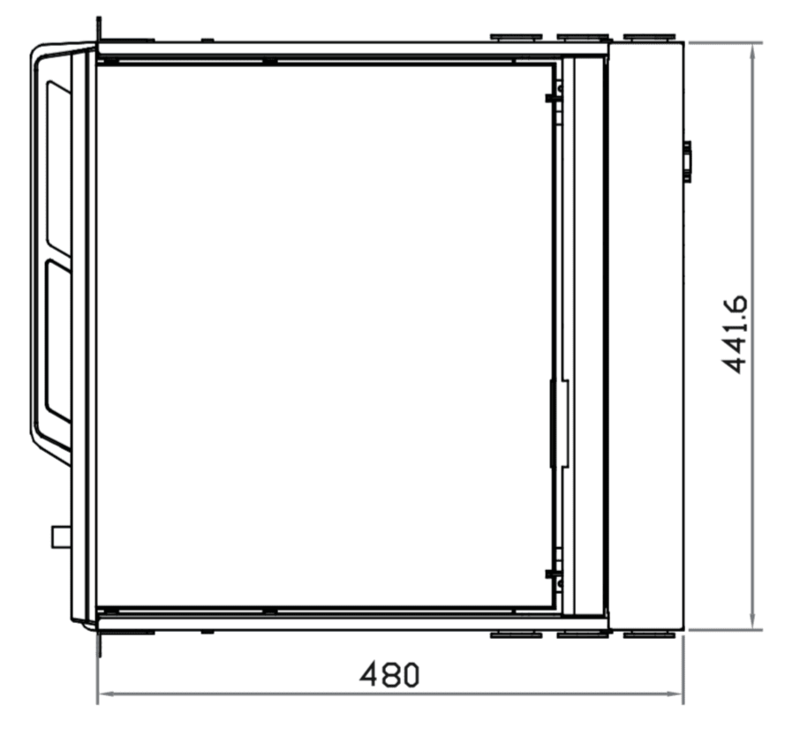 To use, slide the rack console unit out and open the cover to reveal the HD monitor and built-in keyboard and mouse. 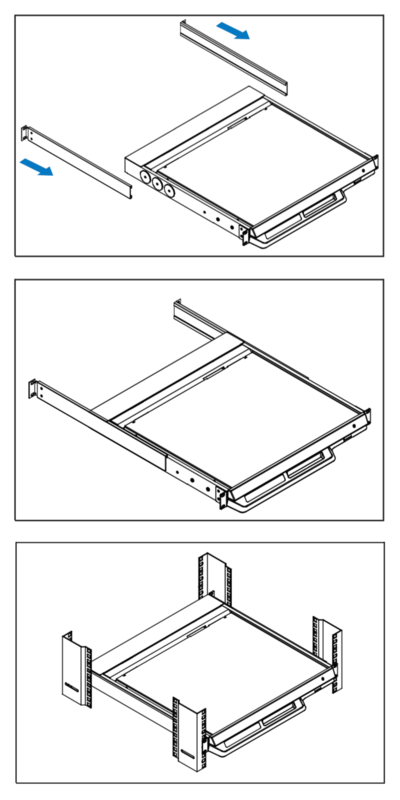 To conserve valuable rack space, close the cover and slide the console module back out of the way when finished. Integrated Mac OS style Keyboard. PC style keyboard style is available. For help with your custom configuration, please feel free to Contact Us. Broadcast SDI, DC power, and audio input/output options available. ** Mac rack consoles with integrated KVM options will include additional KVM cables depending on KVM option type and number of ports selected. Question: Are the keyboard and mouse compliant with Apple computers? Answer: Thank you for your inquiry. Yes, the keyboard is an Apple MAC style keyboard with Option, Command, & Apple function keys, numeric keypad and either an integrated touchpad or trackball. Answer: Thank you for your inquiry. 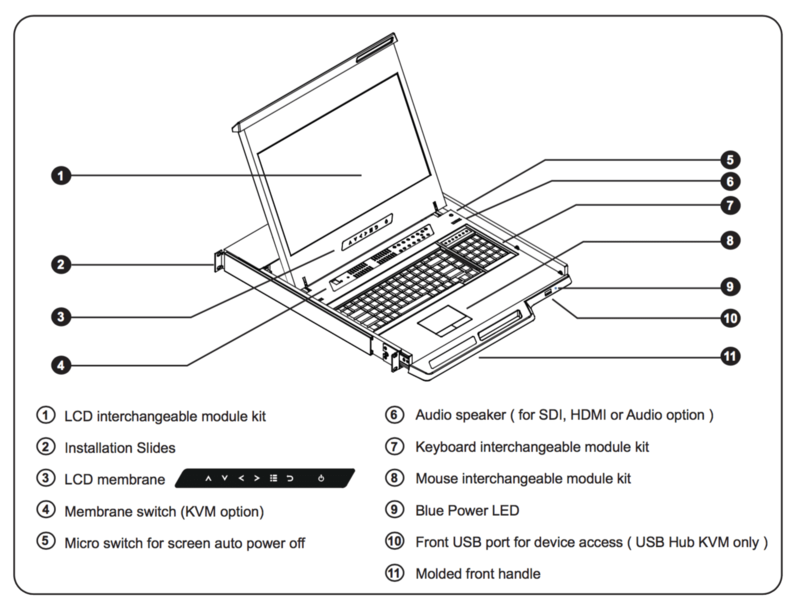 This device uses a proprietary cable with either VGA or DVI-D for video and a single USB connection for Keyboard and mouse. Raloy does not offer a Dual Slide version with a MAC keyboard, however we do carry an equivalent dual slide console with a MAC kb: DF117. 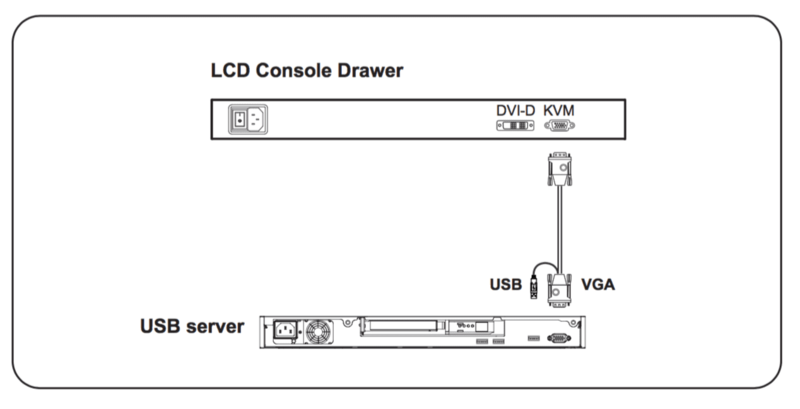 To order the MAC version of that console, please contact your KVM Switches Online sales representative directly at 1-877-586-6654, at sales@kvm-switches-online.com, or via our online Chat functionality.